« TNVC’s Giving Your Smart Phone Night Vision Capability Without Having To Acquire Different Adapters For Your Particular Smart Phone! The model also features a functioning green dot sight, a removable suppressor, and weapon accurate markings. This entry was posted on Sunday, July 30th, 2017 at 00:01	and is filed under weapons. You can follow any responses to this entry through the RSS 2.0 feed. Both comments and pings are currently closed. 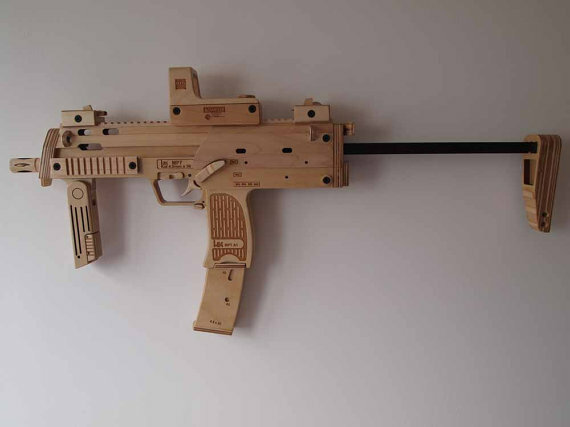 Being a wood worker, I picked the MP7 up. Impeccable craftsmanship and super fast shipping! This is a real work of art. I could not agree more. Thank you SSD for profiling Jen’s work. If not mistaken, she produced only a half dozen MP7s. The time and effort she invested into these pieces is remarkable.